Grab 20 different speech therapy crafts at an awesome discount! 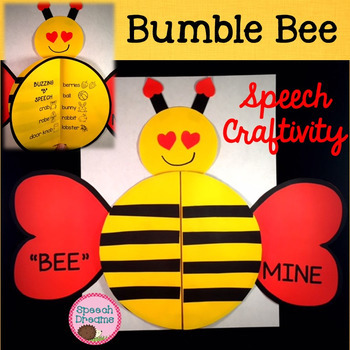 What a fun way to practice your speech articulation or language goals and create this bumble bee craft! This is such a great way to keep those little hands busy and motivated while working on speech skills and fine motor skills! 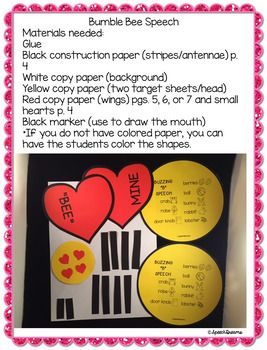 Supplies that you will need to complete the craft: copy paper, yellow copy paper, red copy paper, black construction paper (OR HAVE THE STUDENTS COLOR EACH PART), glue and scissors. I can't "BEE"lieve it's been 100 days! 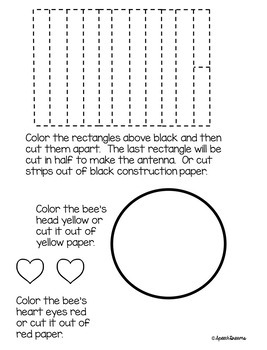 So you can use the bee for Valentine's Day, 100th day, or ANYTIME! Every sound in every position plus blends are included. You have 3 words for every sound in the initial, 2 words in medial and 3 words in the final position of words. There are 8 images with words on each sound page. A blank form is also included so that you can use this same craft for your mixed groups. Detailed photo instructions are included for assembly. Send this turtle-ly awesome craftivity home for lots of extra reinforcement. This will be adorable on a bulletin board. Love crafts? 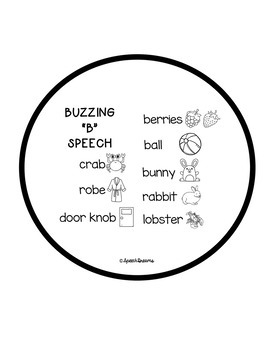 Look at this 3d Speech Therapy Crafts BUNDLE! Looking for more speech therapy crafts? Ugly Christmas Sweater CraftChristmas Tree Speech Craft.